Alright, we have some catching up to do, so let’s stick to the big stuff, shall we? Today we’ll talk more about: Star Wars Battlefront, Dishonored, Assassin’s Creed, The Last of Us, Rainbow Six Siege, DOOM, Need for Speed, Halo MCC, and Evolve. I’ll also briefly talk about the games I have on the go and up-coming, and plans for E3. EA and Dice are doing away with some of the expected FPS features included in their previous games like Battlefield. Star Wars Battlefront won’t have ironsights for its common blasters, but some rifles will still have scopes. Looks like you’ll be shooting from the hip. Also, there will be no more Classes or Squads. You can outfit your character however you see fit, with the items you’ve unlocked, and there will be a “partner” system, that will allow you to see your friend on the UI, and will allow you to spawn on them. Looks like there might be a Definitive Edition release of 2012’s Dishonored; a fantastic game that I’d like to play through again. Fingers crossed. Assassin’s Creed Syndicate will feature two main playable characters, one of whom is a woman. Brother and sister duo – Jacob and Evie Frye. The game will take place in Victorian London in 1686. The brother will be taking the lead in the story in terms of playtime, approximately 75% of the story. October 23rd, 2015 release date on the PC, Xbox One and PS4. Playstation and Naughty Dog’s The Last of Us was one of 2013’s greatest games. The Left Behind DLC featuring Ellie is now available as a standalone package, no longer requiring The Last of Us game. Ubisoft’s Rainbow Six Siege has found its release window: October 13th, 2015. Bethesda has revealed that it will be showcasing its DOOM reboot at its E3 press conference on June 14th. I’ll discuss my E3 plans at the bottom. 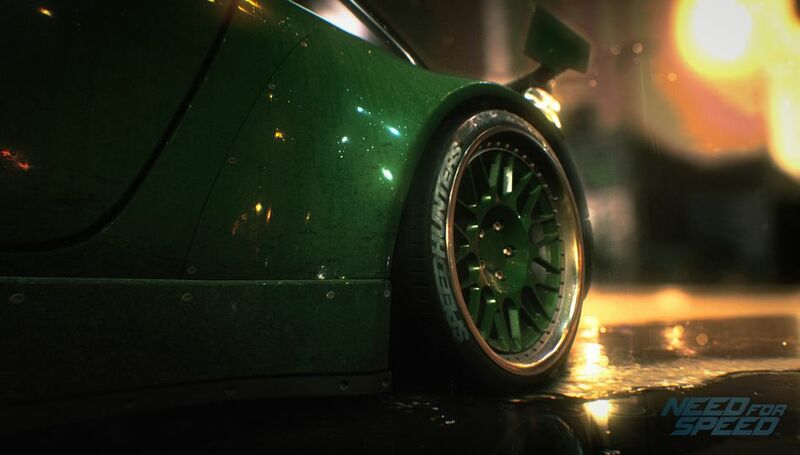 Electronic Arts and Ghost Games are rebooting Need for Speed, and it’s titled just that: Need for Speed. EA promises “deep customization, authentic urban car culture, a nocturnal open world, and an immersive narrative that pulls you through the game”. Seems like it’s going back to the Underground days? Release date is November 3rd, 2015, and will require an online connection. “It’s been going from studio to studio, and creatives were creative, but there wasn’t really a strategic way of thinking of what the brand is and what it stands for,” EA Executive Producer Marcus Nilsson. “For sure, it’s been delivering great experiences, but not experiences that can build on top of each other to become better and better necessarily. “If you look at the last few games – Hot Pursuit, The Run, Shift, Rivals, Most Wanted – and you asked people, ‘What does Need for Speed stand for?’, you’d get a million different answers. The re-mastered edition of Halo: ODST for the Halo Master Chief Collection, is now available for those who played the game during the launch window. Evolve has a new update and it’s free, and it’s a new mode: Arena. The 4 Hunters face off against a stage 2 monster in that typical 4 v 1 method. The change is that it’s in a small enclosure now, and it’s best of 3. No longer are the hunter’s required to track down and chase the monster. Take-Two recently announced that Evolve is permanent franchise for the publisher, joining Borderlands, Grand Theft Auto, among others. Contrast I should be able to wrap up pretty quick. Unmechanical is a quick puzzle game I just finished recently, and there’s a review for that on Friday. I recently completed Sniper Elite III as well, with a review around the corner. I have a few games on the shelf waiting to be played: Metro 2033 and Last Light bundle, Badland GOTY that I picked up today, Assassin’s Creed Unity (after IV), Shadow of Mordor. I’d like to give The Evil Within another shot, but who knows. Also, out in the wild is Evolve, Alien Isolation, and Wolfenstein: The Old Blood. These are homeless, out on the streets, looking for a nice warm home on my hard-drive. Lastly, E3 is just around the corner. I’m going to be posting a new section for E3 news on the title bar, and I’ll be watching the press conferences on Sunday, June 14th, and Monday June 15th, and live blogging those all day. Exciting stuff is just around the corner: New Games and deals tomorrow, early reviews and What I’m playing on Thursday, an iReview on Friday. Stick around, as I’m back. This entry was posted in News and tagged Assassins Creed, Dishonored, Doom, E3, Electronic Entertainment Expo, Evolve, Games, Halo MCC, Need for Speed, News, Rainbow Six Siege, Star Wars Battlefront, The Last of Us, Video Games. Bookmark the permalink.